This winter season has been brutally cold in our area. 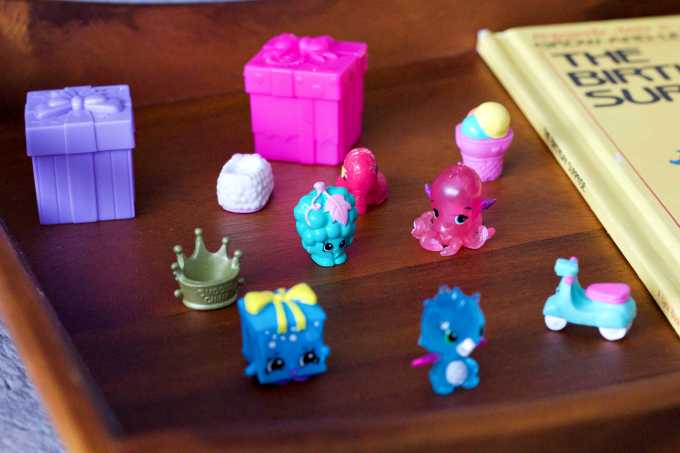 We’ve been lucky to avoid any major illnesses, but as a mom, I still like to be prepared. I remember a couple of years ago when my daughter had a low-grade fever along with a cold. The pediatrician assured me that she didn’t need to be seen unless her symptoms didn’t improve, yet I still panicked. I barely slept that night because I wanted to keep an eye on her and make sure she wasn’t getting worse. Apparently, I’m not alone in my reaction. 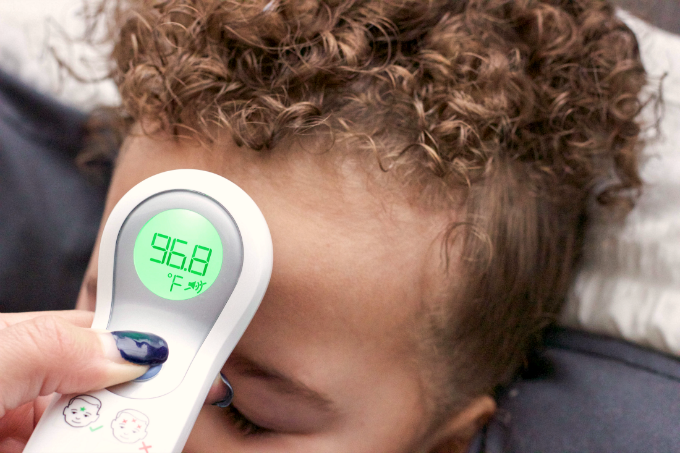 According to a survey conducted for Braun Thermometers, moms feel worried (91%), anxious (64%) and even fearful (55%) when their youngest child has a fever. What has given me a peace of mind is knowing how to manage her symptoms, keeping her comfortable, and having an accurate thermometer on hand. Until recently, my daughter wouldn’t allow me to take her temperature which would only add to my stress. Thankfully I discovered Braun, the #1 brand recommended by pediatricians*. Braun is the first to offer the Braun No touch + forehead thermometer. It allows me to take professionally accurate temperatures while she’s sleeping with a gentle touch of the forehead or no touch at all. A win-win for this mama. 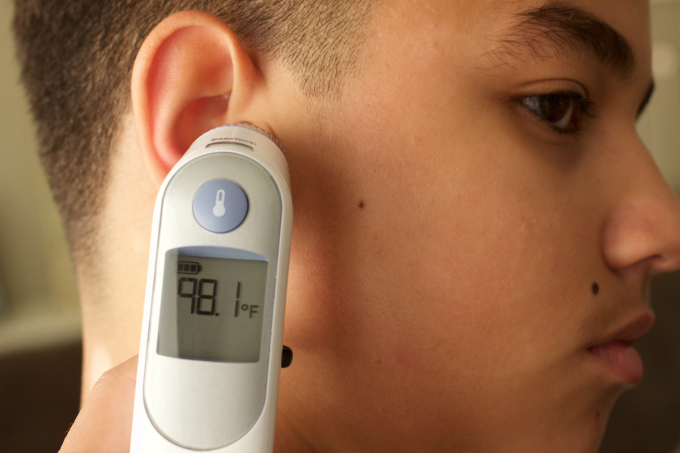 My teen doesn’t mind having his temperature checked, so for him, I like to use the Braun ThermoScan® 5 Ear thermometer which is proven more accurate than forehead or rectal measurement**. While you may be able to feel some warmth by using the back of your hand, the best way to accurately take your child’s temperature is by using a thermometer you trust. You can purchase the Braun No touch + forehead thermometer and Braun ThermoScan® 5 Ear thermometer at your local Walgreens. Right now, you can take advantage of a great Ibotta offer to get cash back from your purchase! It’s not easy dealing with a sick child, but making sure that I keep my children comfortable makes the healing process easier for both of us. 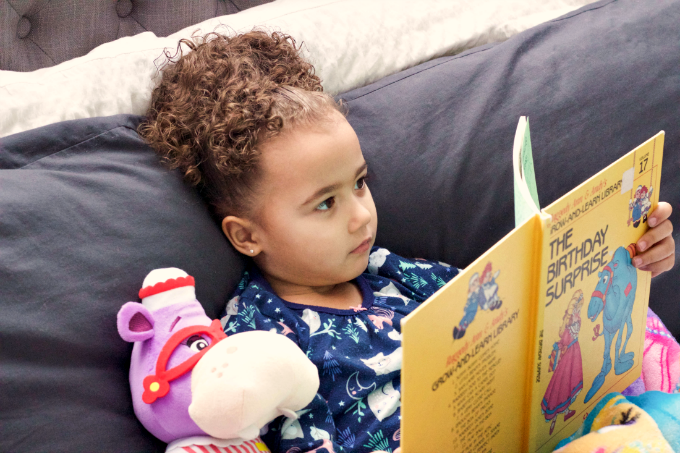 Today I’m sharing a few things that I like to do to comfort my kids when they’re not feeling well. My super active preschooler will try to get up and play even when she’s not feeling well. I know that resting her body will help her heal so extra pillows, stuffed animals and books, are just a few things I use to entice her to stay in bed. Even if she doesn’t get much sleep, it at least encourages her to rest. My daughter is not a fan of hot drinks, so when she’s sick I like to keep her hydrated with water and juices that are packed with Vitamin C. I also like to make popsicles with fruit juice so that she has a little variety. If she does have a cold, I also like to give her a cup of chicken soup since the broth helps soothe her throat. This goes hand in hand with encouraging your child to rest. 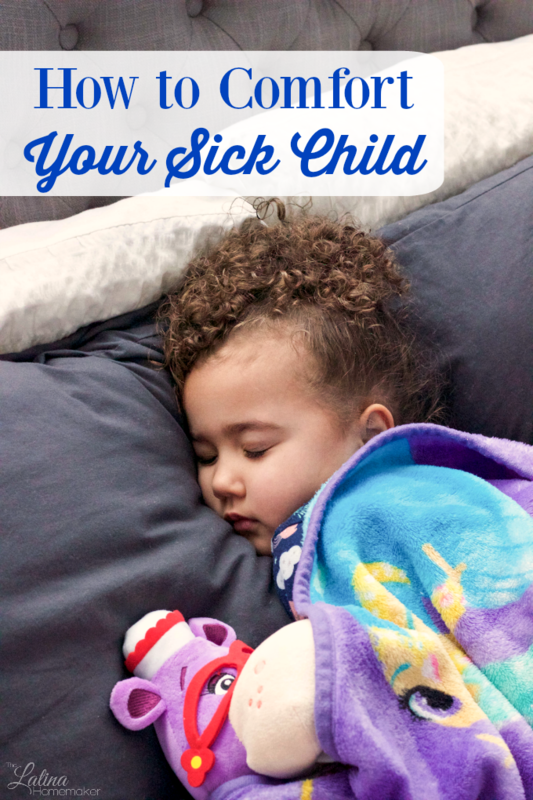 When your child is sick, not being able to do their normal everyday activities is hard for them. Besides making my daughter’s bed extra comfy, I also allow her to watch movies on a tablet or I bring her a tray full of crayons, coloring books and small toys she enjoys. It helps keep her busy and her mind off of the fact that she’s not feeling well. More than medicine, drinks or entertainment, your child needs you. Now is the time to put tasks on hold and focus on helping your child feel better. Even if they don’t voice it, they want you to be present and comfort them. My daughter loves it when I hold her in my lap and stroke her hair until she falls asleep. Cuddling with your child and just being there for them can be all that they need to get through a rough period. Want the chance to win your very own Braun thermometer? Enter below for a chance to win! This giveaway is open to US residents only 18 and older. Giveaway ends on January 31, 2018, at 11:59 pm ET. The winner will be notified via email and must respond within 24 hours to claim the prize.